Karl Benz was born in November 26 in the year 1844 in Germany. He was a German national. He had most of his education at the University of Karlsruhe in Germany. He was the founder of the great and well known motor industry called Mercedes- Benz. He was one of the first sets of people to make use of gasoline to power automobiles. He was granted a patent for the first automobile that he made in 1886. His early education was sponsored by his mother after his father died in a railway accident. While he was studying in poly-technical university in Germany, he focused on lock smiting. But later, he changed his mind about this course of study and went into locomotive engineering just like his dead father. He graduated from the University of Karlsruhe at the age of nineteen. Karl Benz found himself working with August Ritter at the age of twenty seven. They both launched a mechanical workshop through which they supplied construction materials. The whole idea of this business turned out to be a total failure. He never faired well in several other businesses that he got himself into afterwards. He later joined a bicycle repair workshop and he joined hands with the owners to form a company that produces industrial machines. The company’s name was Benz and Cie. The company actually grew within a rather short period of time. Benz decided to create carriages that did not require the help of horses for movement. His knowledge with bicycles was very helpful in this regard. He made use of wire wheels to create the wheels of the carriage. He designed a four stroke engine for the carriage. The engine was placed between the two rear wheels of the carriage. The Benz patent motor wagon was finished in 1885 and this made him the first person to design an automobile that is able to provide its own power. In fact, the automobile became the very first automobile that was available for commercial use. The automobile was taken on its first long distance travel by Benz’s wife Bertha Benz. The purpose of the journey was to create awareness for the automobile. She was actually successful in her bid. One limitation to the production was its inability to climb high hills. It was also challenging to get fuel in other places apart from pharmacies. The automobile was taken through various stages of development. The first was the Benz model 1 and the second was Benz model 2. Later, the Benz model 3 was available on the road. The Benz “valo” model came with four wheels instead of three and more modifications brought about the production of a Benz truck in 1895. 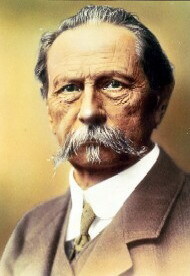 Karl Benz died on April 4, 1929 at the age of 84. The Benz Company grew so much that it became the largest automobile company in the whole world in the latter part of 19th century. It was also one of the largest employers of labor during this period.